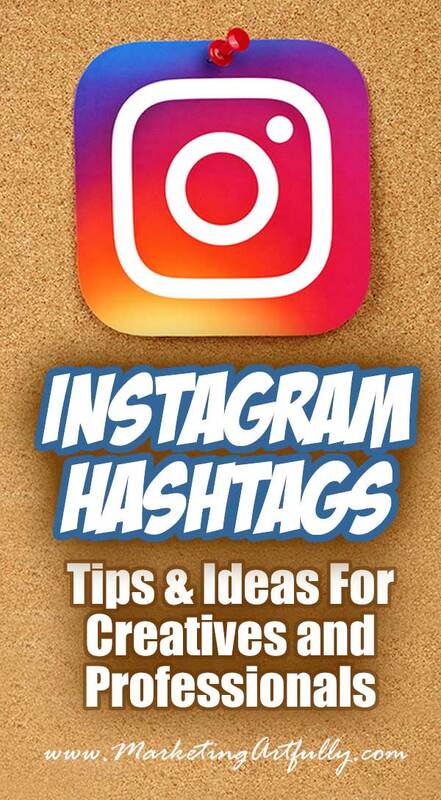 If you are new-ish to Instagram or trying to grow your followers, you will hear a LOT about hashtags! 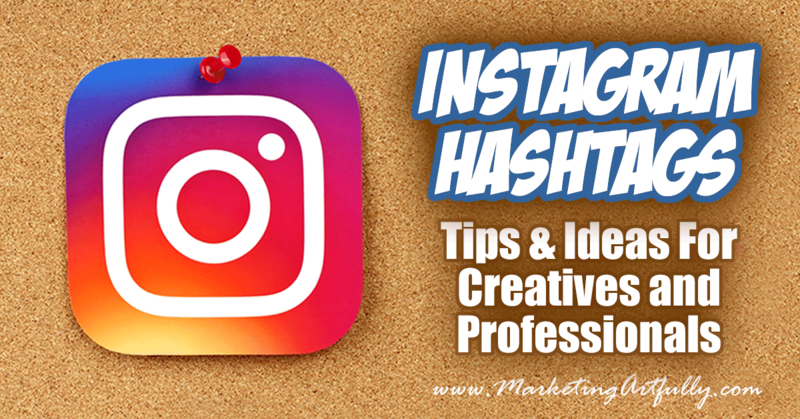 Today I am going to cover the most common questions about Instagram hashtags and give you solid answers and tips about how to do them better. I have been dabbling with Instagram (I have three accounts that I am using for myself, my digital products business and my vintage business). Up until now I have done okay, a few thousand followers, but I really want to ramp up my efforts in a super constructive way. And so I have been researching, taking classes and really digging in. No, I can’t tell you from the point of view of someone who has ONE MILLION followers, but I can give you my Instagram hashtag tips as a keyword geek and business woman who is not doing this for shits and giggles. I need to get down to brass tacks and figure out the right way to target my customers and grow people who want to buy my products. Feedback from a reader in case you were wondering if it worth the time to do this!! Instagram hashtags are like keywords! So let’s start at the beginning and go over WHY you want to use hashtags. Hashtags in Instagram are like keywords on website pages. If you want your website to get found in Google you have to use specific keywords and if you want your posts to get found in Instagram you have to use hashtags. 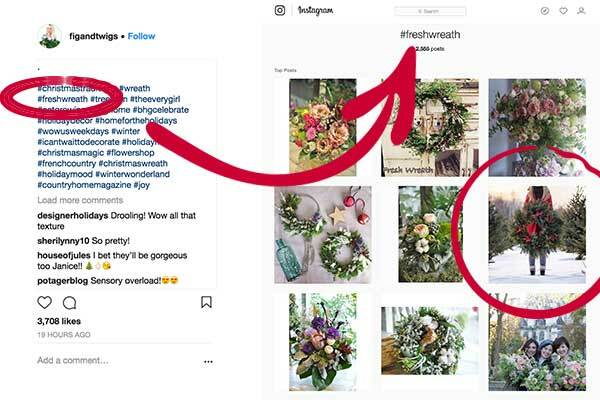 So in this post example, the Fig and Wigs gal used the hashtag #freshwreath and when someone clicks that hashtag in Instagram her post shows up. Neat huh? The cool thing about this, that you will see, is that we can use some of our same scientific methods of keywords to do our hashtag strategy! How many Instagram hashtags can you have? Should you use them all? One of the keywords that I used was #somuchgel. I did that because I share it to my personal Facebook page and it will make people smile instead of being a keyword I think people are searching for. For business posts you should be using as close to 30 as you can get (we will talk about how to brainstorm these in a wee bit). Where should they go, in your comments or the post caption? I did A LOT of research into this one and the “experts” are divided. Sue B Zimmerman (who has an awesome course on CreativeLive, Sell More With Instagram #ad), The Instagram Gal, says that you should put some in the post caption and then go back and add more in the comments over the next few hours to “boost” your post. Some experts say to have none in the post caption and all of them in the comments. This makes your post look better because there are just words and not a whole bunch of hashtags gumming up your post. Additionally, other comments will “cover” them up and they won’t be seen at all. This is not the way I am going to go for time and practicality sake. Your post caption is just the words you type to go along with the post and this is where some of the big Instagrammers who are fashion and makeup bloggers say to put them. I tend to try to emulate those girls because they are SUPER focused on results and getting the biggest audience possible. If someone reshares your post they will NOT be doing the research and work that I do on hashtags and so your post will stop there. If you have hashtags in the post they will get reshared right along with the rest of it. I don’t have time to keep going back in and remember which tags I have used so far. I KNOW, that is lame, but I am doing this to market my business, not make it my business! How many times should you post a day? Right about now you may be thinking, “holy crap, am I going to have to do this 5 or six times a day?” Nope! Instagram is a one a day, maybe one every other day (thank the Lord) kind of marketing platform. You could actually hurt your account by posting multiple times a day. Okay, this is a big question that trips up many of my peeps right out of the gate! Say you are an accountant… what hashtags could possibly be interesting to people from that profession? So we get #accountant, #bookkeeper, #tax, #jobs, #job and #quickbook. Okay, that is pretty darn bland and while those are words that we might see searches for in Google, I doubt many people are cruising Instagram for cool #tax pictures. Oh yay! 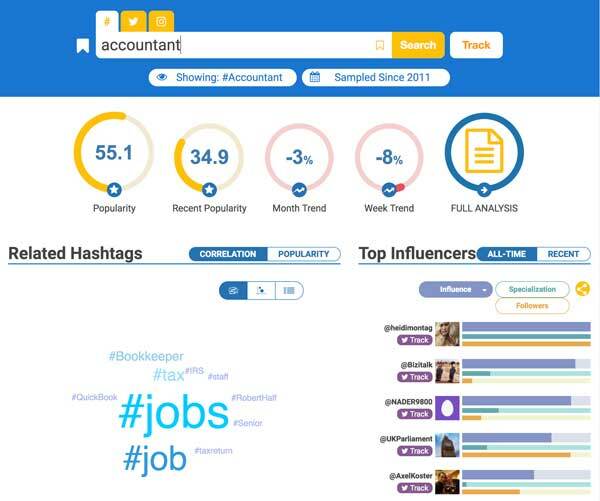 With that we got #smallbusiness, #entrepreneur, #smallbiz, and #startup… those are all keywords that would be searched and could make great hashtags for our accountant. So for this one I did a search starting with “author” and got #authorlife, #authorslife, #authorlove… all good ones to use if you are writing books. Just remember, this is more about marketing yourself as an author than trying to get readers who probably are not doing this kind of search. 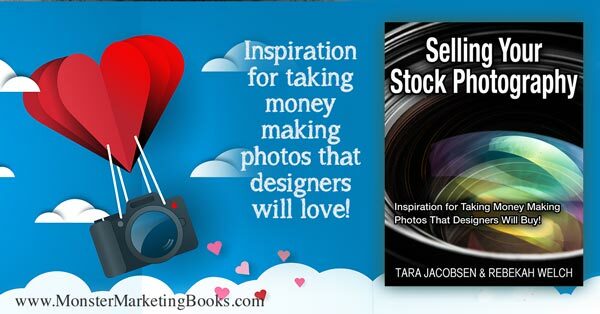 You would use it to get a publisher or maybe attract some other authors who would like to cross promote you! If you were looking for READERS you would do #romancenovels, #scifibooks or something else readers would be looking for! DRAWBACK >> For me the one big drawback about this kind of searching is that it is alphabetical so I if I get a good seed hashtag like #startup I get all kinds of keywords that START with startup but nothing really different or unique. Okay, this is where it gets fun (and easier!) Now that we have some seed hashtags to start with, we can find out what other hashtags might go with that by spying on people who are already using those hashtags. THIS is my favorite way of brainstorming Instagram hashtags! For my Glamorously Vintage account I want to start to rank for office storage and organizing hashtags. 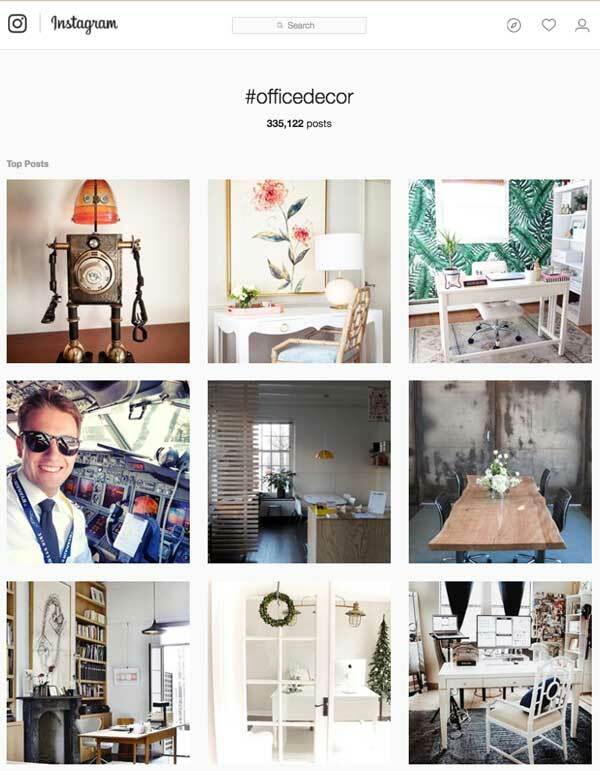 So I did a dropdown of #office and the first big one that matched my concept was #officedecor which has 335,122 posts which would be super hard to compete with BUT I will use it as one of my 30 of course! She had some great keywords that I could add to my list like #workspace, #creativespace and #workmode. Now, you do want to click through those and see that they match your style of picture or content, but this is my all time favorite way to start building up a library of hashtags for my different posts. In each hashtag there are 9 top posts listed at the top of the search results page. These are “locked” at the top and are not based on time, rather they are based on the popularity of those posts in terms of likes and comments. These posts can be days or even weeks old. We saw this above with the 9 top posts in the #officedecor category. Getting into that top post position for a variety of keywords should be your goals since that will mean more opportunities for people to like those posts or even check you out and follow your whole account. Now let’s talk about how many results each hashtag gets…sigh. 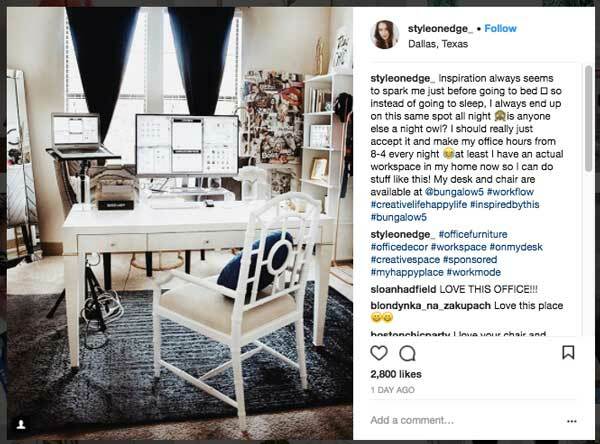 So I would LOVE to be a Top Post for a hashtag like #officedecor which has 335,234 results, but chances are that an interior designer with a huge following will get in that place. 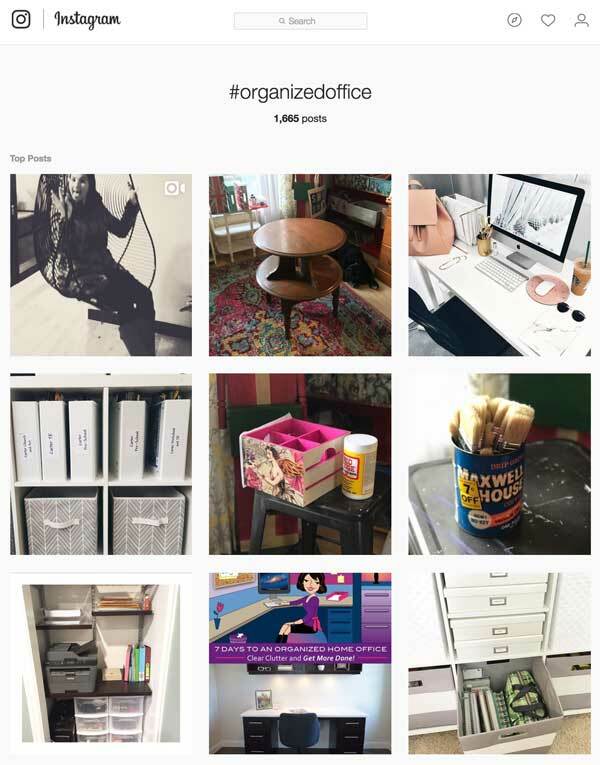 BUT I did get three top post positions for the #organizedoffice hashtag. That is not as impressive seeing as there are only 1,665 posts in that hashtag, but none-the-less I am getting extra likes on those pictures so it must be doing something right! In your 30 hashtags you could do something like this…. This will allow you to try and rank for some big terms that could change your Instagram life, but also to get some great views on smaller keywords that you really have a chance of getting top posts on. It is really easy to get sucked into one line of thinking about your hashtags. For example, a real estate agent could just think, “I will do all real estate related hashtags”. She would do #realtor #realestate #realestateagent, etc. And that is fine for some of her hashtags, but really is anyone searching to hire their real estate agent on Instagram? Probably not! But they may be checking out the area they want to live and be searching for #clearwater, #clearwaterfl, #tampabay. Or they may like a style of houses like #midcenturymodern or #bungalow. Or they may even like to look at pictures of homes decorated for the holidays #holidaydecor or #christmasdecorating. Who: Who is in the picture, can you tag someone? What: What is it? I have pictures of my #office that have my #dog in there, my #desk and #storage, I can use all those kinds of hashtags too! And go even further! Who would like my office pictures? #wfhmom (work from home moms), #artistloft, #craftroom lovers? The more creative you can get the better! If you don’t know yet, most of what you do on Instagram has to be done on your phone. Now, you can set up Hootsuite or Buffer to send you notices, but at the end of the day you will have to get on your phone. When I realized that I thought, “How the heck am I going to come with 30 hashtags for every post? Am I supposed to type all these out each time? Well you don’t have to! 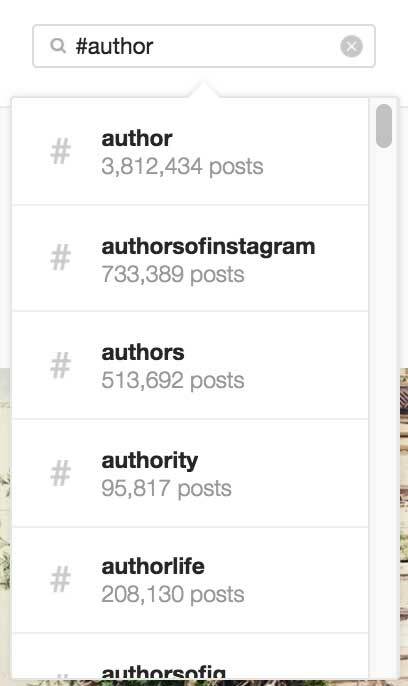 You can set up a “library” of the hashtags that you use most and then just cut and paste them into your post. I put all of mine into the notes on my Mac which gets shared over to my phone via my Apple ID. If you have a PC you can use something like Evernote to make this easy to do! 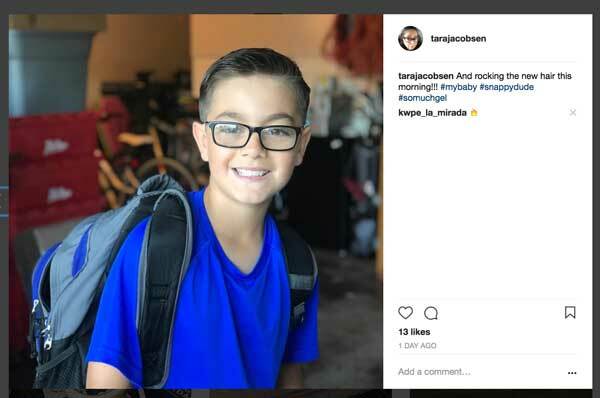 You are supposed to use the periods and hard returns to make the hashtags separate from your caption comments. Should you use the “popular” hashtags? Alrighty, here is some good info… DO NOT use the “popular” hashtags, even if you watch a webinar that tells you to! There are some general hashtags that are “trendy or popular”… #fun, #followforfollow, #instagood, #me, #cute. It seems like it would be a good idea to use them in hopes that you would be top 9 on one of those huge ones (#cute has 395,812,443 posts!) But it would actually hurt you to have a whole bunch of people following you who are not really interested in your kinds of posts. There are lots of bots set to follow people who use those terms or to post fake comments and that is just not going to help you in the long run. In fact, one gal had to take a whole day to go through and block the bots that had followed her account when she got bad advice and did this early on in her account! Who is your Instagram hero? What are they doing? One last suggestion is to find an Instagram hero… someone who is doing exactly what you want to accomplish! For example, I thought mine might be Martha Stewart (too much food) or Joanna Gaines (too people oriented) so I did a search on Google for the “best vintage instagram accounts” and found a great account that has 97K followers and who has a style very like my own. Take a bit of time and find someone you can aspire to be like too! Okay, that was A LOT of info about Instagram hashtags and I thought that things might be a wee bit clearer if you could see it in action in real life!